Golfing is the perfect activity for us on our honeymoon at the Embassy Suites Napa Valley. We will choose from one of the many nearby award-winning golf courses, rent our clubs, and set out for a game of friendly competition set in a picturesque and breathtaking environment unlike any other. 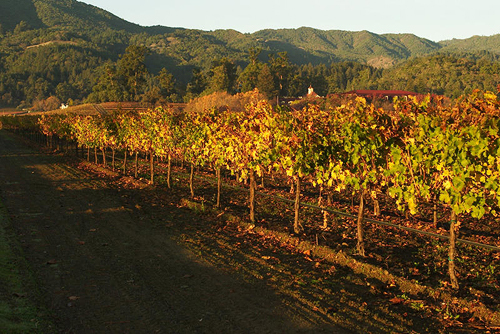 Napa Valley is home to one of the most beautiful and prestigious wine growing regions in the World. 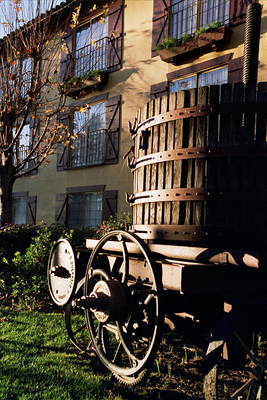 During our stay at the Embassy Suites Napa Valley, we will explore the rolling vineyards of the Carneros region, the dusty Cabernet’s of the Stags Leap District, or the crisp Chardonnay’s of the Oak Knoll District. Wherever we decide to go, we will be sure to find some of the country’s best wine and views that will make our honeymoon special and romantic. 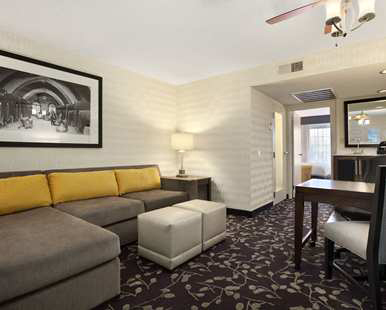 Our Two Room King Atrium View Suite is in an indoor atrium with warm surroundings and gardens. Stylish furnishings, accented with warm hues of browns, taupe and mustard, make this space open and inviting, and includes a spacious living room with shutter windows, ceiling fan, sofa bed, dining table with two chairs, two 32-inch LCD flat-screen televisions, refrigerator, microwave oven and wet bar. Our private bedroom comes with signature bedding, making this the most comfortable and ideal room for our honeymoon. With views of the gardens, our redesigned Two Room King Garden View Suite is a perfect living space. Stylish furnishings are provided throughout the suite, accented with warm hues of browns, taupe and mustard, and includes a spacious living room with shutter windows, ceiling fan, and sofa bed. A dining table with two chairs, two 32-inch LCD flat-screen TVs, refrigerator, microwave and wet bar complete our separate living room, and our private bedroom offers us a California King with Embassy Suites Sweet Dreams bedding package. We will have everything we need and more in this wonderful living accommodation. In our Two Room Luxury Executive King Suite provides us with a premium location, bottle of wine upon arrival, free Internet and more. We will enjoy the stylish furnishings of this new guest suite located in the tranquil setting of beautiful gardens, fountains, and ponds. A bottle of Napa Valley wine welcomes us to a spacious living room with shutter windows, stylish sofa sleeper, and ottomans, ceiling fan, two 32-inch LCD flat-screen televisions, galley kitchen and table with two chairs. After a long day, we will rejuvenate with extra amenities, including plush bathrobes, fresh coffee beans with grinder and premium-bottled water. Staying connected during our stay is easy with complimentary WiFi. The private bedroom offers us a California king bed with Embassy Suites Sweet Dreams bedding package, full-length mirror and marble vanity. The private bath provides us with contemporary lighting, marble vanity and bathtub with shower. What more could we want from our suite in Napa? On our romantic honeymoon at Embassy Suites Napa Valley we will experience pure luxury with room service for lunch and dinner. 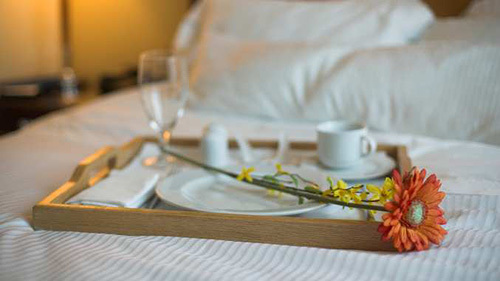 We will choose from a menu featuring a variety of gourmet selections to make our honeymoon that much more memorable from the comfort of our room! We will enjoy Emmanuel Afentoulis' Greek influence on his open-fire grilled Angus burgers, salmon filets, and other delightful entrees using the freshest, finest California products at Grille 29. 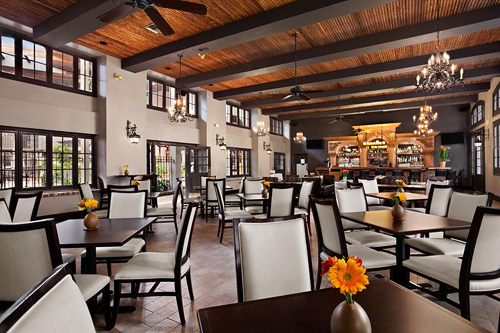 Open daily for lunch and dinner, the restaurant also has a lounge that offers us a fabulous wine list featuring many of our favorite Napa Valley wines as well as a few new wineries we'll be eager to try! 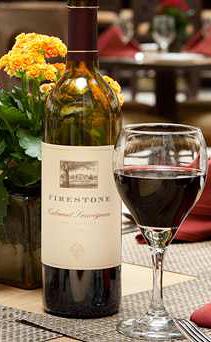 Our honeymoon at the Embassy Suites Napa Valley will be enhanced with a romantic dinner for two. 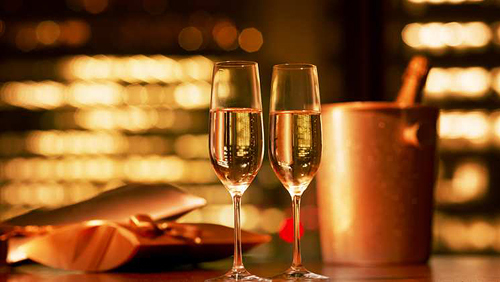 In a secluded setting, we will indulge in a tantalizing 3-course dinner with a glass of wine. As the sun begins to set, we will admire the twinkling stars above while creating unforgettable memories drenched in intimacy and Californian elegance. In a relaxed setting at the bar, we will enjoy a round of our favorite drinks and make a toast to our new lives together. At sunset, we’ll take our drinks to the outdoor millpond to enjoy views of the resident swans swimming amongst lush foliage and rose gardens. Your generous wedding gift allows us to create romantic memories while honeymooning in Napa Valley. 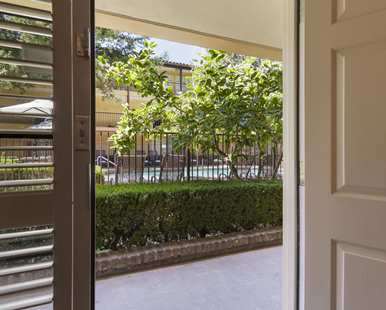 With your generous gift, we will enjoy the Mediterranean inspired, resort-like setting of the Embassy Suites Napa Valley hotel in Napa, California! 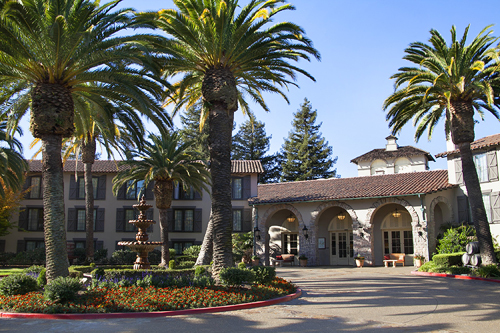 Located in the heart of Napa Valley one mile from downtown Napa, California, the hotel is the perfect gateway to Napa wineries, dining and excursions. It’s a must for us to explore the grounds, relish a drink in the outdoor courtyard, indulge in delicious meals, or rent a bike from the hotel to discover the local area. From luxurious accommodations to fine dining, we will experience the honeymoon of a lifetime at the Embassy Suites Napa Valley! 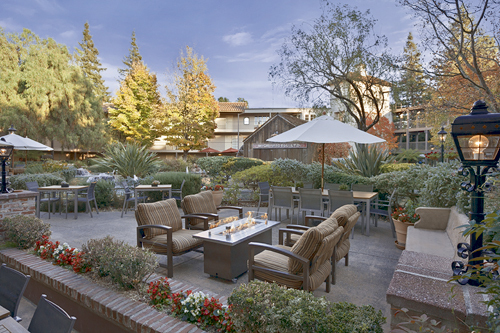 We will relax in a resort-like setting on seven acres of landscaped grounds at the Embassy Suites Napa Valley hotel. Here, we will enjoy a swim in the outdoor pool or use the indoor pool facilities and spend time on the grounds watching the swans on the mill pond or hire a bike from the hotel to explore the surrounding area. This Napa, California hotel also provides us with complimentary access to their new on-site fitness room. 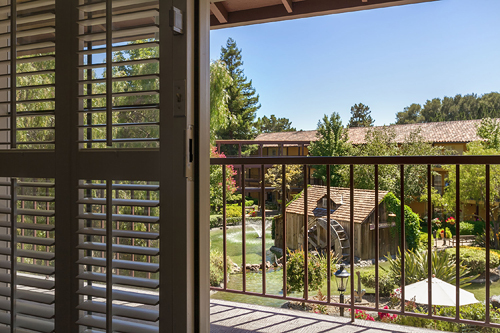 We will select from fresh, contemporary guest suites, upgrade to an Executive suite with a view over the pond and receive a bottle of Napa Valley wine to toast our arrival. In the morning, we will enjoy a free cooked-to-order breakfast every morning and at night a Complimentary Evening Reception in the courtyard with beverages and snacks. For dinner, we will relish local cuisine at Grille 29 with a glass of wine from the extensive wine list. 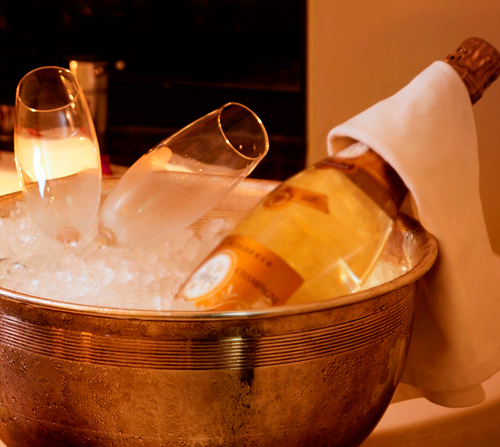 Your thoughtful contribution allows us to experience the very best in Napa living on our romantic honeymoon! A bottle of our favorite wine will be delivered to our suite. We will make a toast to our romantic honeymoon in Napa Valley while taking in the sweeping views from our balcony or terrace. How romantic! A chilled bottle of champagne and a platter of sumptuous strawberries covered in rich chocolate will be delivered to our suite. We will make a toast to our romantic honeymoon and indulge in pure decadence while taking in the warmth of the California sun from our living room window. This is the epitome of romance! 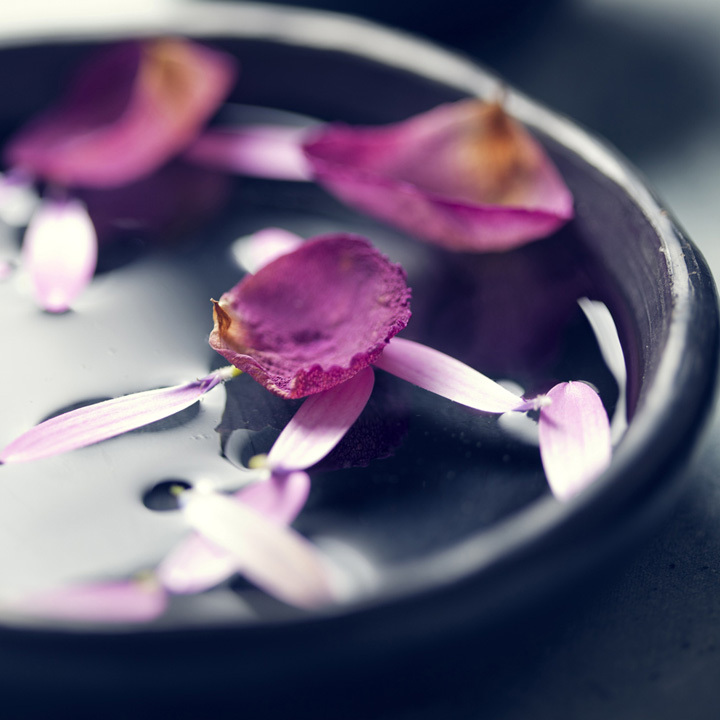 Located across the street from the hotel, St. Pierre Massage and Spa welcomes us to indulge in treatments, ranging from massages and facials to body scrubs and manicures and pedicures. We will have the option of staying in the guest suites at Embassy Suites Napa Valley or going to St. Pierre for treatments. Our Leisure Escapes Package is a great contribution towards our honeymoon! We will receive a $50 daily credit at the resort to make our trip even more rewarding, using it towards on-property dining in Grille 29. Our Wine Tasting and Tour Package package includes luxury transportation for the day, wine tasting at four to five boutique wineries, a gourmet picnic lunch for two, all taxes and spacious overnight accommodations for two at the Embassy Suites Napa Valley. Each tour starts with complimentary champagne served on-board a luxurious vehicle, as we meet fellow wine enthusiasts and wine curious guests. Our friendly and knowledgeable tour guide will take us to four exceptional boutique wineries known for great tasting wine and warm hospitality. The Daily Wine Tour includes a catered gourmet picnic lunch for two, served at one of the many hidden-gem locations in the Napa Valley. Our delicious lunch is presented "family" style allowing us to choose from a variety of sandwiches, side salads, fruit, and cheeses. Complete with food, company, and delicious wine, our tour is filled with everything that makes Napa Valley an iconic destination.